Inspecting your home like it’s my own! At Tim’s Home Inspections, PLLC, owned and operated by Tim Shupp, we understand the importance of having a trustworthy home inspector on your side when it comes time to make major decisions about purchasing or repairing your new home. We promise to work for you, keeping your priorities and concerns at the forefront of our minds as we search the home for hidden issues and assess its condition. Buying a home is an important life decision that you should feel confident making, so don’t trust your investment to just any inspector. We are dedicated to making this process as worry-free as possible. Call us Monday through Saturday from 8 AM to 8 PM to schedule a home inspection. We encourage you to be present at the time of the inspection. Our home inspection is a non-invasive walkthrough of the home. We will be performing an inspection of the visualy observable and readily accessible components of the home being inspected, as found at the time of the inspection, per the Texas Real Estate Commission (TREC) Standards of Practice (SOP) and using the TREC Report Form REI-7-5. The inspection typically takes 2-4 hours, depending on the size and age of the home. Once completed, we will provide our client a written report of the conditions of the observable and readily accessible components inspected, as found the time of the inspection. Click on TREC COMPONENTS to see a list of the components we inspect as they appear on the TREC form REI-7-5. Soon after we complete your inspection, you will receive an email containing access to your home inspection report. The report contains information regarding our findings, at the time of the inspection, to help you in future decision-making, regarding your home. We include recommendations regarding possible need for additional expert evaluations, and regarding needed repairs that you should include in your home budget. We also describe the home’s current condition in simple terms. Our reports are generated using HomeGauge Software, and each features an interactive Create Request List™ (CRL™) tool. This feature allows you to build a project list for the home directly from the report and share it with your realtor or seller. 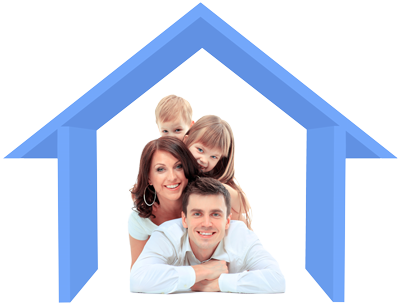 At Tim’s Home Inspections, we understand that a home purchase is one of the biggest decisions you’ll make. We want to be part of making this process as smooth as possible and to give you the confidence of knowing that you’re making the right choice. Call Tim’s Home Inspections today anytime from 8 AM – 8 PM to schedule a home inspection in the state of Texas. Or click the button below to request an inspection online.